Twelve countries in Africa’s western horn have sweeping Atlantic coastlines with beautiful beaches that, aside from a few Europeans escaping winter weather, see little tourism. The region is difficult to fly into, but if you’re willing to route through Brussels or another European flight hub, your reward is a beach experience far different — maybe even better — than that on this side of the ocean. The beaches around the region’s vibrant cities are also more accessible than ever, so hone your French and grab your surfboard. 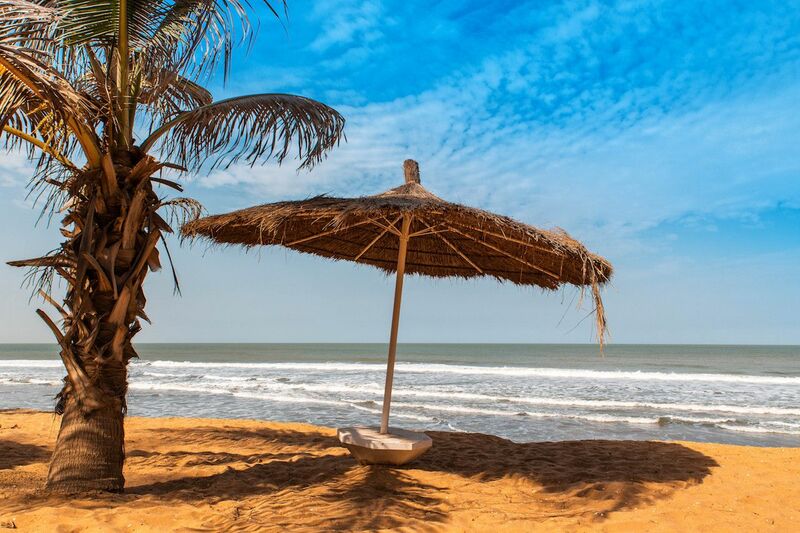 The beaches of West Africa await. Ghana’s capital of Accra is among the easiest countries to travel to in West Africa. This modern and busy city has one of the region’s most dependable international airports and metropolitan amenities that make it the ideal jumping off point for first-time visitors to Africa. Accra itself is alive with culture, defined by a heavily spiced cuisine and a homegrown blend of hip hop and traditional Ghanaian music known as hiplife, which permeates the clubs both downtown and closer to the beach. 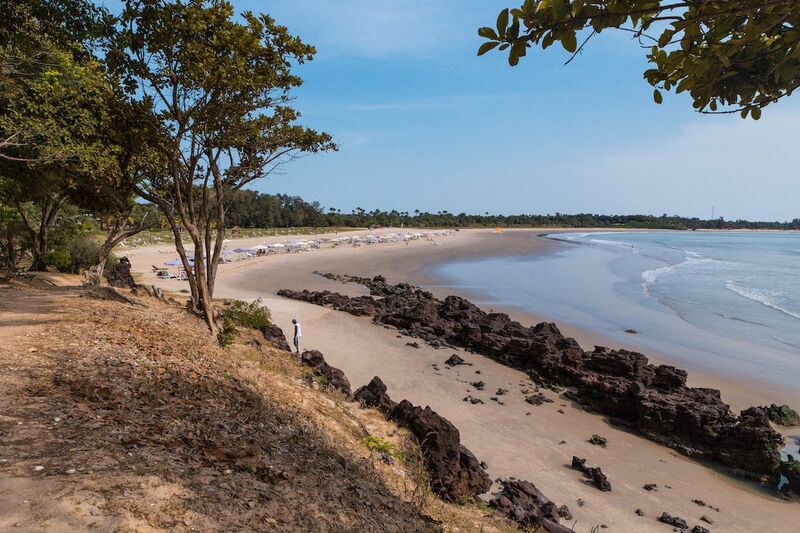 Labadi Beach and Kokrobite Beach are a part of its beating heart with ample room to toss a towel and lay under the sun or pop into the water for a swim. What sets these two oceanside hotspots apart from other African beaches is the built-in scene that thrives within them. Fresh street food, including the region’s signature roasted plantains and yams, is readily available from vendors, as are a wide variety of souvenirs. You’ll also find plenty of locals eager to engage you in conversation, and you should oblige as Ghanaians are among the most friendly people in West Africa. You might even discover a secret spot to catch an incoming swell. Fueled by the music, bonfires and parties pop up along the sand after the sun goes down, adding the perfect nightcap to a unique beach experience you won’t find anywhere in North America. The suburb of Krokrobite is a popular surf spot, home to Mr. Bright’s Surf Shop and School and offering consistent waves for beginning and intermediate surfers. Visa and entry requirements: US travelers should apply for a visa from the Ghanaian embassy in advance and must have a valid passport with at least one blank page. You’ll see the bright light of the Cap Manuel lighthouse as you fly into Léopold Sédar Senghor International Airport. Dakar, the capital of Senegal, is as much a feast for the eyes as it is a great place to relax and catch some mellow waves. The buildings and buses of the bustling port city shine in colors brighter than the lighthouse itself, and the pirogues — small wooden canoes — that dominate your offshore line of sight are no different. The city is both vibrant and eternally chill at the same time, and the best place to find your footing is at the Plage de Ngor. The Ngor right is a popular point break for surfing off the coast, and this beach anchors the surrounding nightclubs, hotels, and dining options built around it. Despite its popularity with beachgoers, the Plage de Ngor still serves as a working fisherman’s beach. Settle into a secluded spot as the boats come in, and you might even hear the fisherman’s iconic chanting as they secure their vessels and unload the day’s catch. Vivier is another popular surf spot, located south of Ngor on the far west side of Dakar near a set of cliffs dubbed La Cabane du Surfeur. To relax post-surf, head over to Plage des Marabouts and take in the sunset from alongside the black rocks. Dakar’s beaches offer the best of just about every beach world: They’re gorgeous, have good swells, and are relatively easy to get to. Plus, even as Europeans come to escape winter months, they sit surprisingly uncrowded. If Dakar’s beaches are uncrowded, Cap Skirring’s beaches are vacant. This fishing town in the far south of the country is the place to go to get completely away from the hustle and bustle. Cap Skirring has about 1,800 full-time residents, and while you won’t be overcome with Cast Away vibes, you also won’t be shoulder hopping or worrying about someone swiping your prime sunbathing spot. The area is ripe with surf camps, and its beach is among the most beautiful anywhere in the world. You’ll notice the striking contrast of a seemingly forgotten town that somehow offers full-on tourist amenities like fishing and surf tours, boat rides, and luxurious hotels and spas. To get to Cap Skirring, hop a 45-minute flight from Dakar on either Friday or Sunday. Visa and entry requirements: No visa is required for stays of fewer than 90 days for US travelers. You must have a valid passport with at least one blank page. The Gambia is Africa’s smallest country, a tiny sliver of land surrounded entirely by Senegal. Entirely, that is, except for 50 miles of Atlantic coastline that are home to a number of incredible beaches. 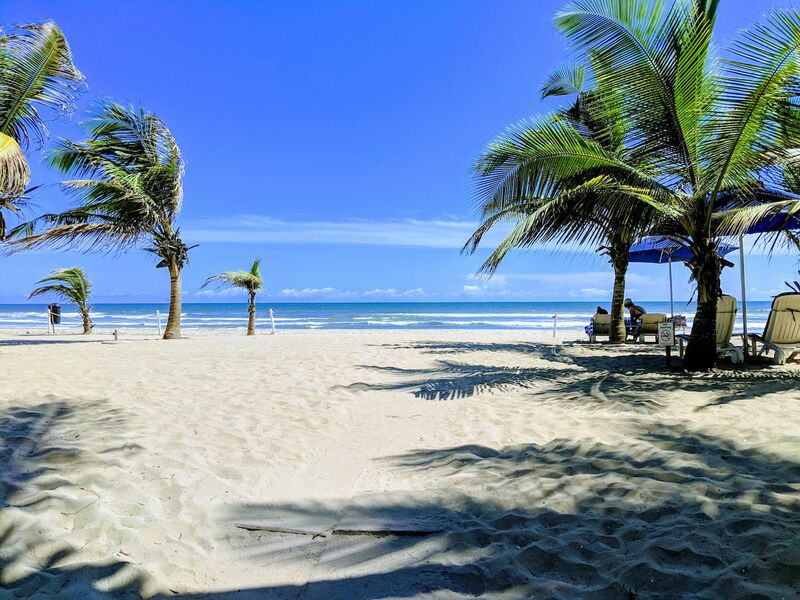 Kotu Beach is the shining gem, a wide-open stretch of sand on the edge of Serrekunda lined with palm trees and mellow beach bars pumping rasta tunes well into the evening. The beach gets crowded at times, and the water can swell unexpectedly — but with plenty of food and drink options within a quick barefooted stroll, Kotu is the spot to settle in for a day. For a glimpse of the fisherman’s lifestyle, head to the Beach Bakau. Wake up early and fish the rocky expanses of coast until the smell of smoked seafood calls you in for lunch, which you can grab from Oscar’s on the Beach or the Ngala Lodge. You can’t swim at Bakau, but you can do so at nearby Cape Point Beach. This flat, mellow expanse is easily accessed from a number of nearby hotels and resorts that give it a sort of “scene” vibe as you people watch, as you’re likely to bump into many of the same faces at the pub later in the evening. Visa and entry requirements: US travelers should apply for a visa from the Gambian embassy in advance, but if you happen to fly in on an impulse you can enter the country provided that you obtain a visa from the immigration department in Banjul within two days of arrival. Abidjan is the Ivory Coast’s biggest city, an urban hub that is increasingly cosmopolitan though you can still sense the remnants of French colonialism. With about four million residents, it is West Africa’s second largest city. The beaches to visit are just east of town, and your best course of action is to use Abidjan as your base to pick up supplies and to fly in and out of. You can stay in the city and head out to the beaches with surfboard and beach towel in tow or bring your overnight bag to crash in one of the beachside resorts and hotels along Bassam beach, the area’s most famous. This expansive stretch of sand is about 28 miles east of the city center and home to vendors selling handmade souvenirs. It’s an ideal place to stretch out, relax, and catch some rays. Surf isn’t great here, but just down the coast at Assinie you’ll find a consistent break and plenty of other surfers. West of Abidjan are the Grand-Lahou and Jacqueville beaches. These spots are beautiful and isolated and can be difficult to access as there are no roads in our out. Car ferries run often though their schedules can be inconsistent. 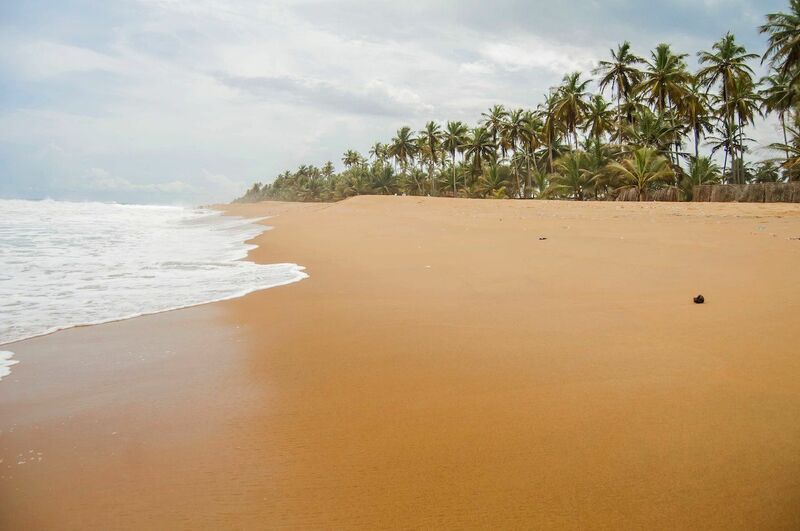 If you wish to visit these beaches, ask for assistance from the staff of your hotel or lodging property in Abidjan. There’s no shame in staying along the easier-to-reach beaches, however, and the lagoon accessible from the city is unmatched in the region. Visa and entry requirements: US travelers must obtain a visa from the country’s embassy and have proof of Yellow Fever vaccination to enter Côte d’Ivoire. In December 2018, the US government issued a travel advisory citing increased crime. The famous beaches of Essaouira and Tangier notwithstanding, Casablanca is the place to go for a taste of Moroccan relaxation. The beaches of this port city make it easy to take advantage of the fact that Casablanca is so frequently overlooked in favor of Fez and Marrakech. As you unwind on the Plage Ain Diab, you can raise your cold non-alcoholic drink in a toast to a trip well-planned. Plage Lalla Meryem is another must-do, home to the Tahiti Beach Club and just out the door of the Four Seasons Casablanca. 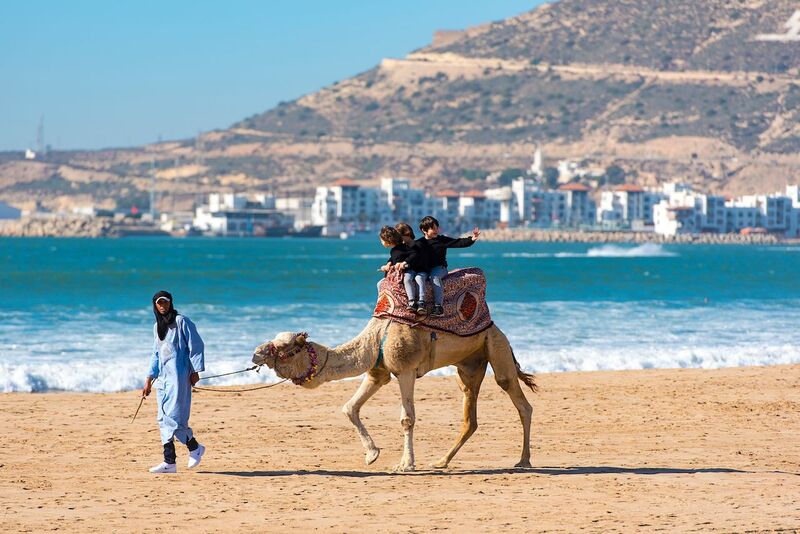 The people-watching on the sands of this beach is second to none in all of Morocco, as you’ll see the self-proclaimed elite from across the Mediterranean region strolling it like they own the place mixed with casual tourists and locals enjoying a day under the sun. For a more relaxed scene, head down to Bobaloo Beach, which is lined with casual cafes and is far enough from central Casablanca that it almost necessitates an entire day trip. No matter which beach speaks your language, all visitors should check out the waves rolling into the Hassan II Mosque, which towers over the coast from the Sour Djid district. Visa and entry requirements: No visa is required for stays of less than 90 days for US travelers. You must have a valid passport with at least one blank page.